Highways England has completed a £100 million investment in congestion-busting upgrades for a stretch of the M6 between Cannock and Stafford. An extra lane has been created between junctions 11a and 13 of the carriageway, which aims to add valuable extra capacity that will help to reduce the build-up of traffic at busy times. New smart motorway systems are also operational along the route, with variable speed limits to ensure areas of congestion can be buffered from other traffic before significant delays are allowed to form. Highways England project manager Dave Cooke said: "It follows the upgrade introduced last summer between junctions 10a and 11a; together this will help improve journeys for millions of people every month. "The technology means we can vary the speed limit to smooth the flow of traffic at busy times, this also helps prevent congestion caused by stop-start braking which causes queues to build at higher speeds." Improved journey reliability is now expected to be seen for the more than 120,000 travellers that make use of this busy stretch of the M6 motorway each day. The 6.8-mile route now offers four lanes of carriageway that are operational throughout the day and night, while hard shoulder running can also be implemented should traffic volumes begin to rise. 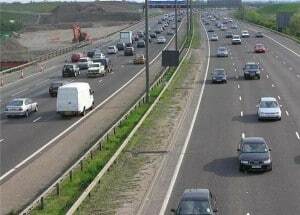 As part of the project, Highways England engineers have also carried out more than 500,000 sq metres of carriageway resurfacing to further enhance journeys for travellers in the area in the years to come.